It's unclear what the future holds for Ridley Scott's Alien franchise. How Disney feels about it after the Fox merger goes through is just part of the issue; there's also the middling box office and lukewarm critical reviews. 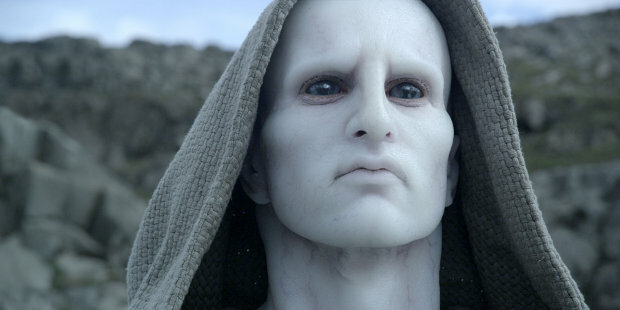 Scott returned to the sci-fi classic with 2012's Prometheus, which received mixed reviews but earned over $400M, which ain't bad. With last year's Alien: Covenant, Scott tried to give fans a suspenseful horror movie with more Xenomorphs and the box office suffered. As it stands right now we have no idea if the third movie, reportedly titled Alien: Awakening, will ever happen even though Scott has a couple of sequels already in mind. If it does, the story written by Alien: Covenant's John Logan would once again focus on Michael Fassbender's murderous android, David, and possibly go back to the planet originally seen in 1979's Alien. If you recall, the Engineers were expected to play an even bigger role following Prometheus, but Scott's plans for the franchise have been in a constant state of flux. I think it's a safe bet that whatever idea there was for a third movie will change if/when it gets a green light.